Triangle Pool Service offers the most comprehensive and thorough pool cleaning service in Largo. In Florida during the summer there is no better way to cool off than jumping in your pool. But with all of your obligations and responsibilities (job, kids, spouse, pet) it is very difficult to maintain your pool just by yourself. Many residential pools are in backyards in a shady, wooded area, making it a collection point for all types of dirt and debris. It can become monotonous maintaining your own swimming pool when you know that it is just going to get dirty again; between clearing out the leaves and maintaining the chemical balance, pool cleaning will just become another chore on your already full plate. 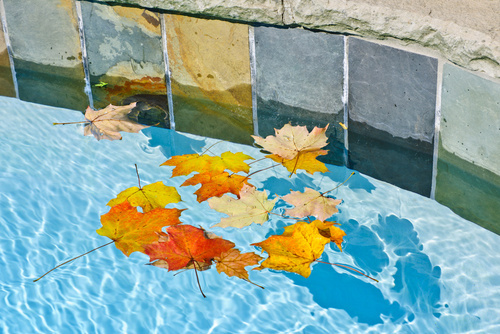 Don’t become overwhelmed by pool maintenance! Instead, give Triangle Pool Service a call and have your pool cleaning service in Largo taken care of. Dealing with the chemicals that go into your pool is by far the most dangerous aspect of pool maintenance. This is especially true of Muriatic acid used to control pH levels. If you make a mistake there could be serious consequences, not just for your own health but for those swimming in your pool. If chemicals are improperly added to the pool, you could potentially damage your skin, eyes, and hair. Poorly added chemicals can also stain your pool! Leave the chemicals up to the experienced professionals and have all your pool cleaning services in Largo fulfilled by Triangle Pool Services. Between cleaning debris and keeping the pool free of dirt, clearing the pool can become the most arduous and time consuming aspect of pool cleaning. The pool cleaning service in Largo offered by Triangle Pool service include a comprehensive and thorough cleaning of all the debris in the pool. This is inclusive of freeing the skimmers of any blockages and clogs, vacuuming, and brushing of the interior of the pool and cleaning the filter when required. One of the most overlooked aspects of pool cleanings are the tiles. Most pool owners neglect scrubbing the tiles decorating your pool, when in fact they have the potential to be the dirtiest parts of your pool. Grime, chemicals, and other debris can cling onto the slick surfaces of the tiles, coating them in slime and making them unpleasant to the touch. At Triangle, we understand that one of the most redeeming features about having a pool is the aesthetics. This is why we offer a complete pool cleaning service in Largo. There are a few levels of service that Triangle Pool Services offers to residential pool owners. Triangle Pool Services has been helping Floridians in the area by offering thorough pool cleaning services in Largo since 1959. With over fifty years of experience and professionalism, Triangle Pool Services is ready to help you tackle any pool cleaning and maintenance obstacles you might come across. Whether you just don’t have the time of day or you have more pressing obligations, Triangle Pool will step in and help you take care of your pool. Give us a call at (727) 531-0473 or reach out to us online.